After 2 1/2 long years of development, the long awaited Evolution skin for the DirectAdmin control panel has now finally reached Release Candidate (RC) status and is from today available in DirectAdmin for our hosting clients. Evolution sports a modern design and is written in AJAX. It has support for widgets, allowing you to further customize your control panel layout and it has the ability to brand the skin with your own custom logo. Evolution can be enabled by heading to the Skin Manager page in DirectAdmin. On the same page you have the ability to upload your custom logo. 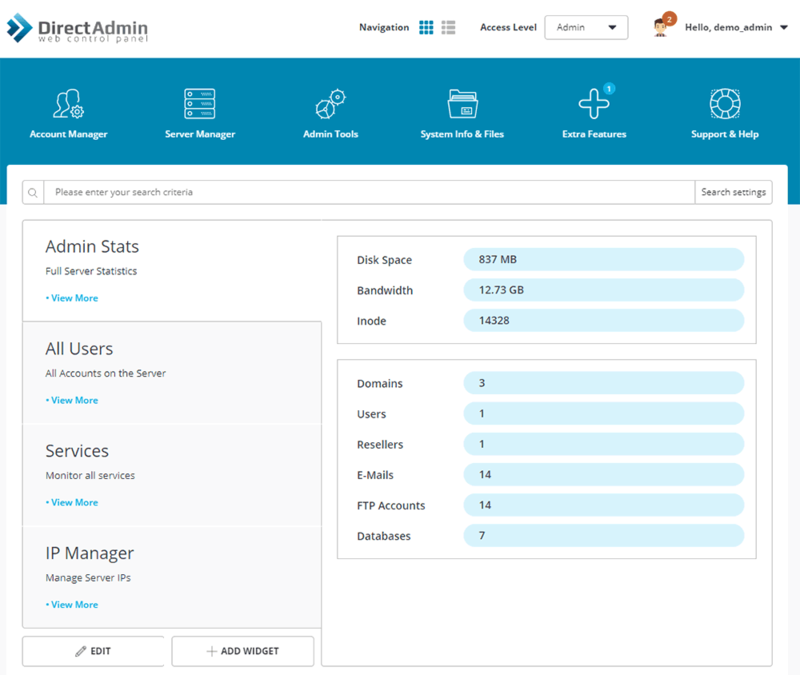 Major changes under the hood of DirectAdmin were required to accommodate the new skin, hence the lengthy development cycle. Currently there are no bugs reported for the Evolution skin, but if you do run into a problem we recommend clients to contact DirectAdmin directly to report the problem that you have encountered. In this case you can always revert back to the default skin, “Enhanced”, which has been in use for a number of years.